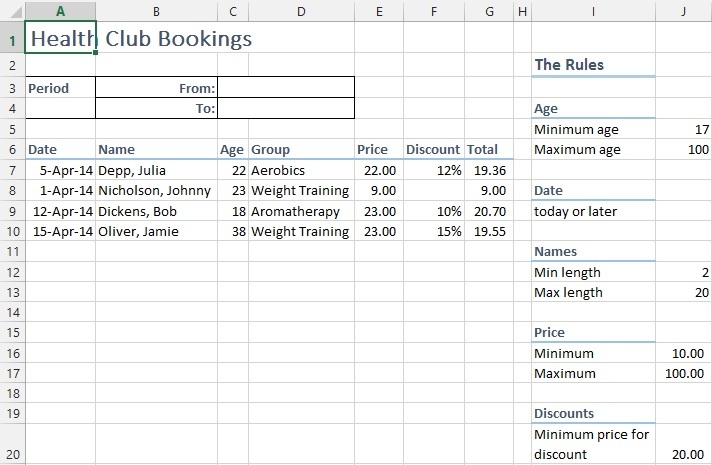 Excel Data validation Errors for Users | Tutorials Tree: Learn Photoshop, Excel, Word, Powerpoint and Wordpress for free online. 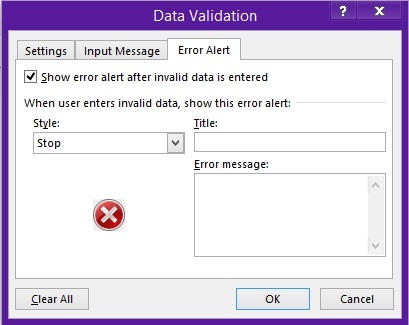 We’ll apply data validation error on Column C. For that, select the whole column C.
Go to “Data” tab and select “Data Validation”. A pop up will appear. Select “Error Alert” tab. There is “Style” option, “Title” and “Error message”. 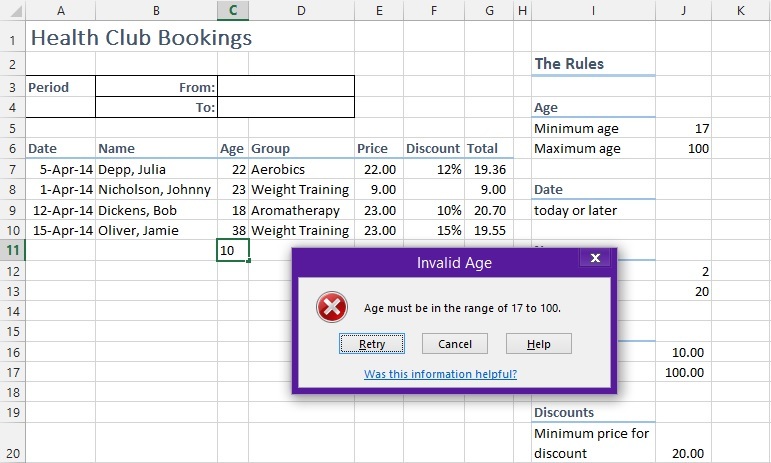 “Stop” Style will restrict the user to enter invalid data. In the Title, we’ll enter “Invalid Age” and in Error message, “Age must be in the range of 17 to 100”. And click “OK”. 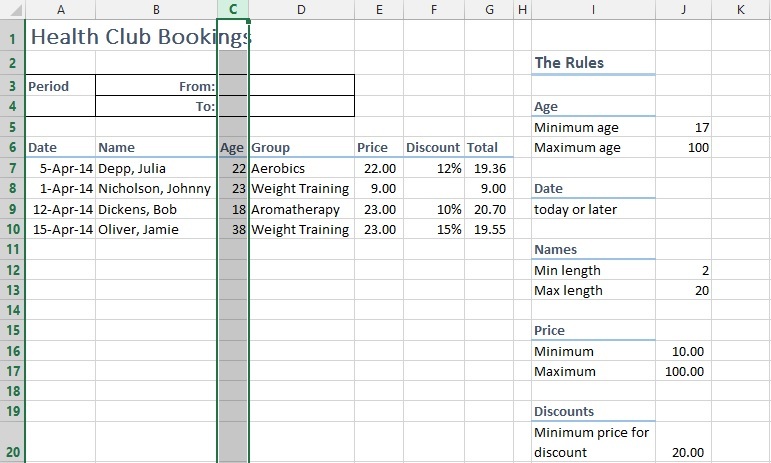 Now returning to sheet, if you’ll enter invalid data. It’ll prompt an error message. 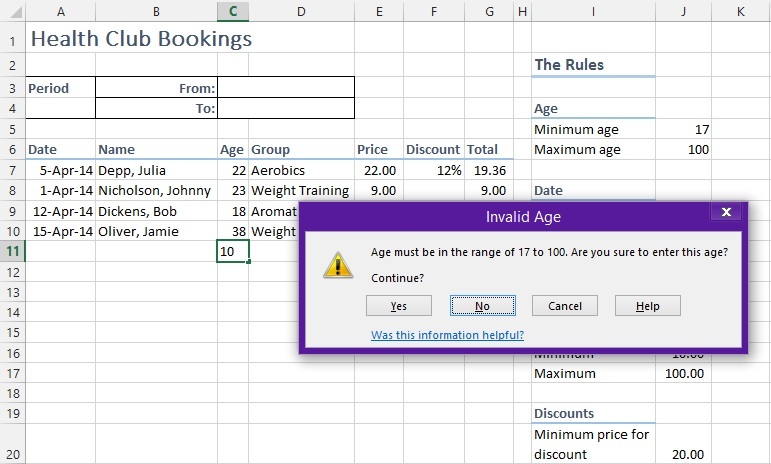 This option will restrict the user to enter the valid data. If we select “Warning” Style, it’ll prompt a warning message that will ask you to confirm if the data enter is correct or not. If we go for “Information” style, it’ll prompt an information dialog about the data validation. 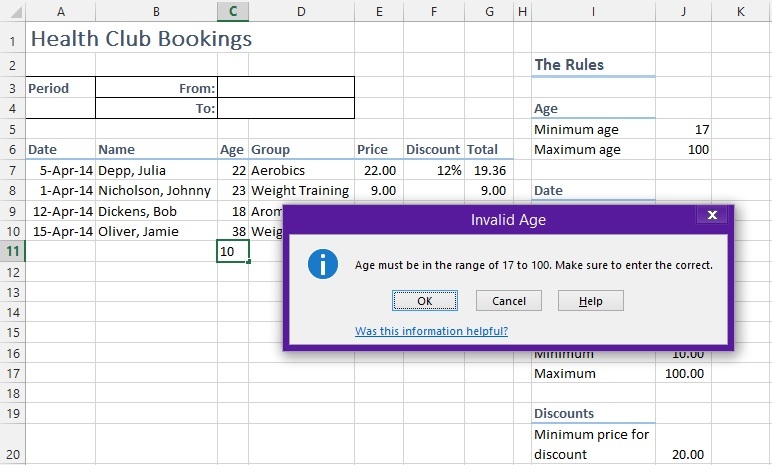 In this way, you can set Data validation Errors, Warnings and Information about the data and the make a worksheet with the data rules.